An ownership opportunity that works on so many levels. Industrial property ownership is a proven strategy for business success. But how can you own industrial space in central Vancouver when land is priced at such a premium? The answer is stacked industrial. IntraUrban Evolution gives your business all the advantages in a Class-A location right of the edge of downtown Vancouver and the False Creek Flats. It’s your business ownership opportunity in a world-class market. New industrial strata space, ready for your move up. Four stories of new construction will offer 105,000 square feet of space, including 35,000 sq ft of offices – all available for purchase by forward thinking businesses. The list of new urban industrialists that could share this IntraUrban Evolution community is truly endless. 1055 Vernon Drive – Industrial meets cultural. IntraUrban Evolution is more than a new industrial hub. It’s a bulls-eye location for inspiration and work-life balance. Gastown, Railtown, historic Chinatown and Mount Pleasant are a quick bike ride away. Restaurants and shops on Commercial Drive and the peaceful green of Strathcona Park put IntraUrban Evolution at the centre of a new urban industrial paradise. On the eastern edge of False Creek Flats, targeted for a 3x – 4x increase in job creation over coming decades. Industrial space availability in Vancouver is critically low. Don’t miss this stacked opportunity. With IntraUrban Evolution, you get all of the advantages of strata title ownership in an amazing location, with the relative affordability that increased density is able to provide. Business owners know that owning real estate, especially in a tight market, is a good business strategy. Those that are first to invest in stacked industrial stand to benefit even more. IntraUrban Business Parks – an independent business success story. Vancouver-based real estate development and investment company PC Urban understands the challenges and needs of independent business. That’s why they create spaces designed to provide long-term value to businesses like yours. 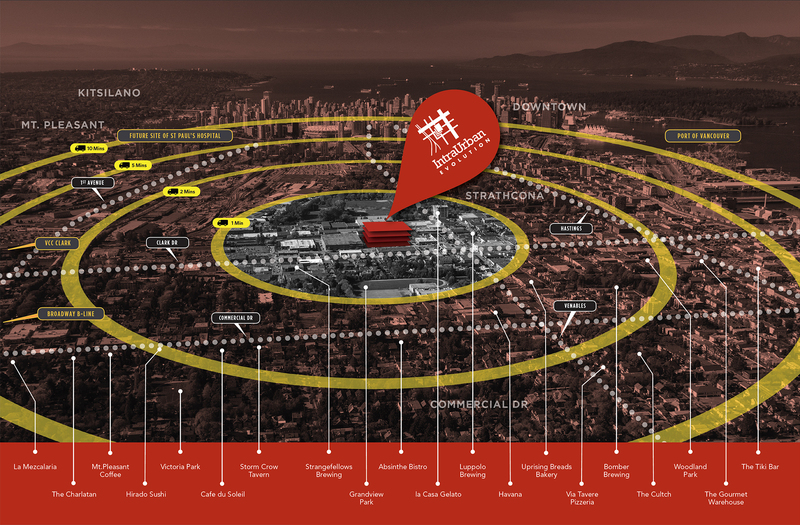 Since the launch and sell-out of the first IntraUrban near Marine Gateway, IntraUrban Business Parks have re-imagined industrial space in Richmond, Burnaby and Kelowna. Vancouver’s Stacked Industrial Evolution has begun. Don’t miss your opportunity. We are excited to hear about your business space ownership needs and let you know more about all that IntraUrban Evolution has to offer. Come join us for a closer look at this amazing neighbourhood and opportunity. Register below to be among the first to receive plans, updates and priority launch information. By clicking the REGISTER NOW button, you are providing your consent to receive advertisements, reports, listings, announcements, invitations, newsletters, related correspondence, and all other electronic communications from Colliers Macaulay Nicolls Inc. This document/email has been prepared by Colliers International for advertising and general information only. Colliers International makes no guarantees, representations or warranties of any kind, expressed or implied, regarding the information including, but not limited to, warranties of content, accuracy and reliability. Any interested party should undertake their own inquiries as to the accuracy of the information. Colliers International excludes unequivocally all inferred or implied terms, conditions and warranties arising out of this document and excludes all liability for loss and damages arising there from. This publication is the copyrighted property of Colliers International and /or its licensor(s). © 2019. All rights reserved. This communication is not intended to cause or induce breach of an existing listing agreement. 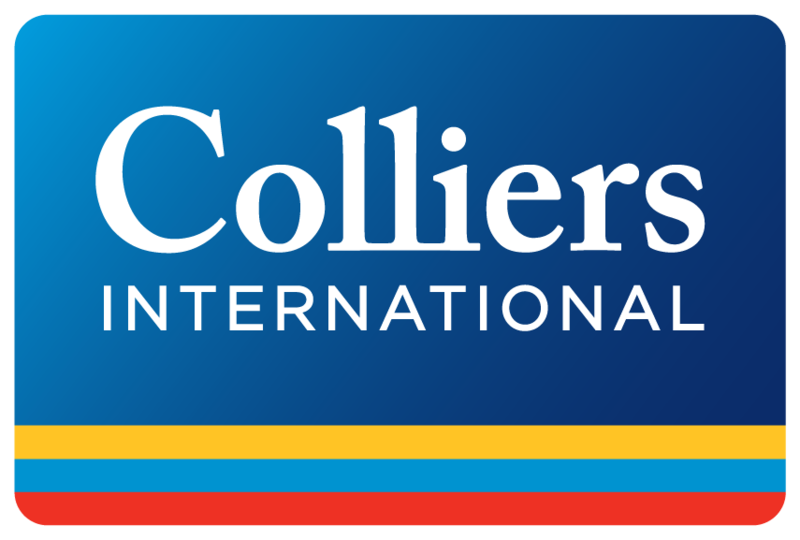 Colliers Macaulay Nicolls Inc.